What’s the joke I’m making here? Am I making fun of American Apparel? 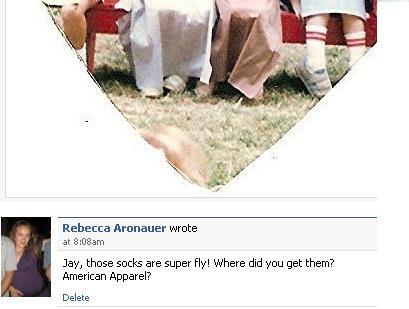 I wear American Apparel: When their clothes flatter, I’m flattered. Besides, I like tube socks with red strips on children and adults. My sense of humor sometimes feels like I’m dividing an integer by zero.